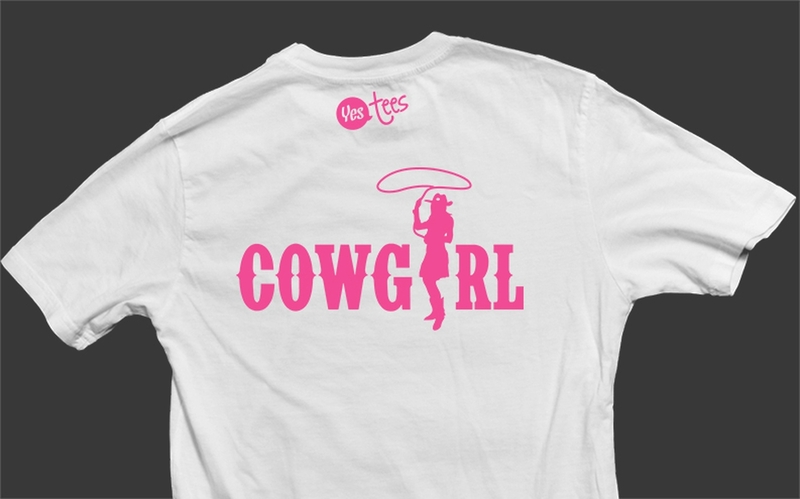 Pink Cowgirl Graphic on a White Tshirt Available for Women and Kids in 10 Different Sizes. 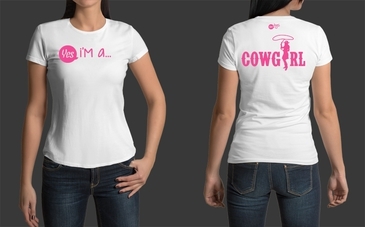 This Standard White Cowgirl Tshirt is Available in 5 Different Sizes for Women. This V-Neck White Cowgirl Tshirt is available in 5 different sizes for women. Style: Premium White T-Shirt for Cowgirls. Comfortable, casual and loose fitting, our heavyweight white color T-Shirt will quickly become one of your favorites. Made from 100% combed and ring-spun cotton, it wears well on anyone. 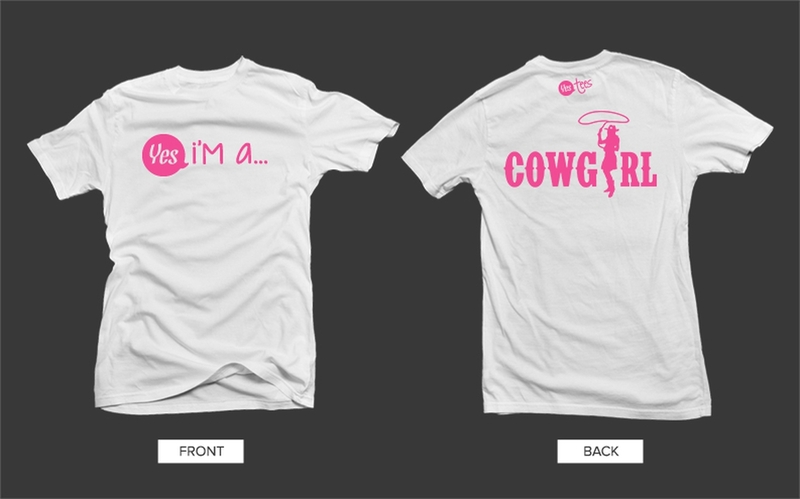 Select a design from our marketplace or if you would to wear a different Cowgirl T-Shirt, let us know! Are you or someone you know a Cowgirl? Cowgirls are gutsy, tough, hardworking and honest. You're not some girly girl or prissy. You are true to your beliefs and your spirit is free. You love being outdoors and become one with nature. You don't mind rolling up your sleeves and getting dirty. You cannot be broken. You face life head-on and never back down. A cowgirl may be a rancher or a bull rider, but they are just as likely to be a banker, a full-time mother, an attorney or an astronaut. Whether you're home on on the range or under the city lights, you're true to yourself and prideful. At YesTees, we believe in T-Shirts that help you stand out from the crowd and make a statement. We also believe in being comfortable while doing so. Our T-Shirts are ring-spun and combed to assure that soft fabric feel. If you've ever experienced it before, you won't accept anything less.